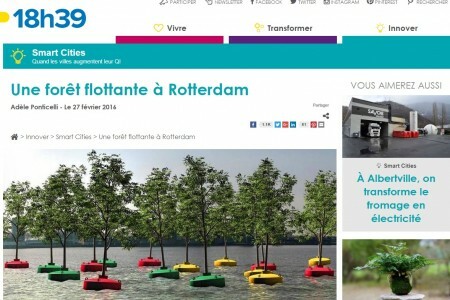 What does Rotterdam think of the Bobbing Forest? 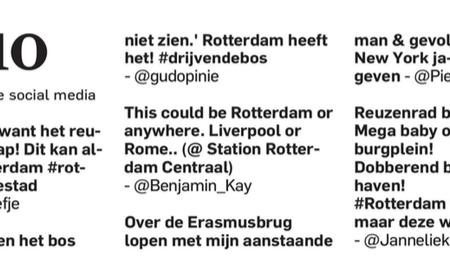 What a view in the Telegraaf! 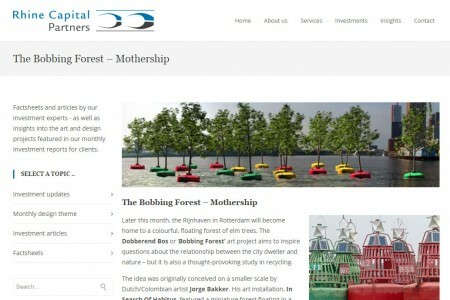 The Bobbing Forest in the Rijnhaven is a concept of Jeroen Everaert, founder of Mothership, based on the artwork ‘In Search of Habitus’ by artist Jorge Bakker. 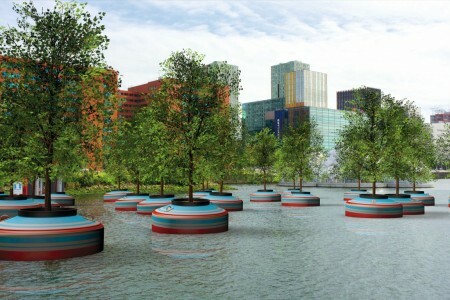 This installation consists of a water-filled tank and floating bobs with trees on scale. 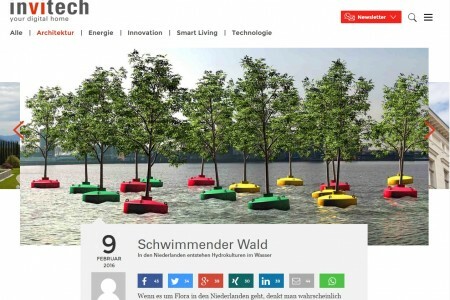 While these miniature trees are loosely bobbing on the water, they are raising questions on the relationship between the city dweller and nature and how these two relate to each other and the world surrounding them. 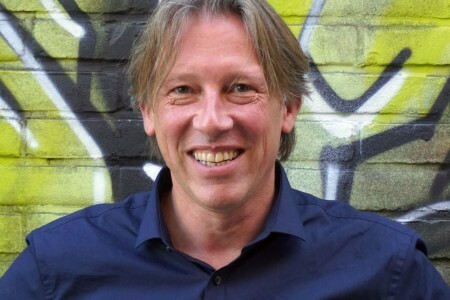 The Dutch based “onderwerper”, as Bakker calls himself, is mostly known for his sculptures and installations with an architectural edge; they make invisible features of elements like water and wind visible. 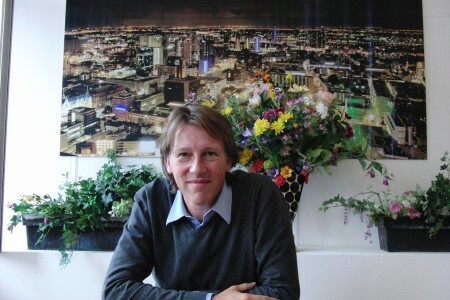 Jeroen Everaert was inspired by this artwork and wanted to translate this to ‘real life’. 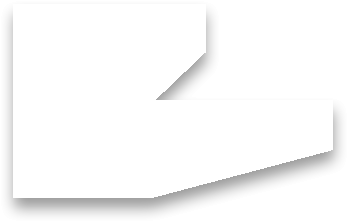 The result can be seen from the 16th of March. 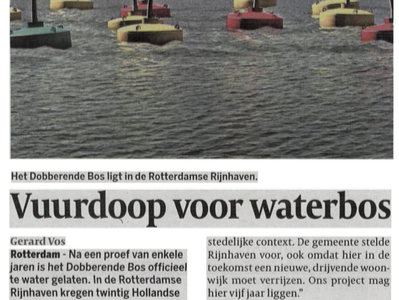 ‘The Bobbing Forest’ consists of 20 former sea buoys. 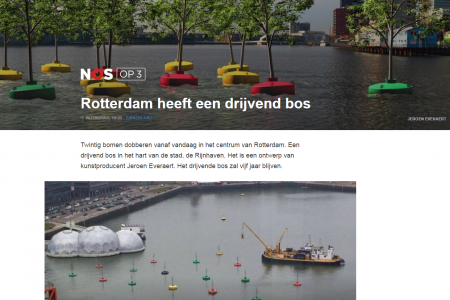 The buoys became available when Rijkswaterstaat (Ministry of Infrastructure and the Environment) replaced all steel buoys for synthetic ones. 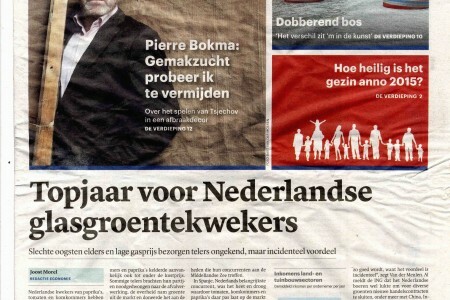 The trees were donated by Tree Nursery Van den Berk. Where did the necessary knowledge come from? We have already been busy since 2012 to accumulate as much information as possible to be able to execute this project successfully. We have asked students from several universities and colleges to help solve issues concerning the buoys and the trees so we could design a prototype. 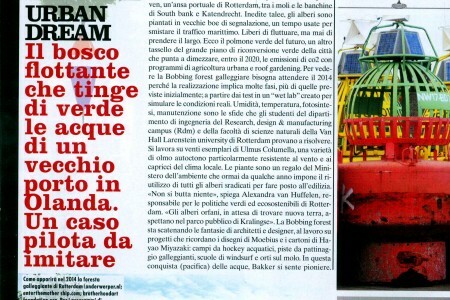 With the help of partners like Mercon Steel Structures we were able to launch two prototypes in the RDM harbor in 2014. Yes indeed. Research was done by students of the Van Hall Larenstein College as to which tree could survive best considering factors like wind, temperature, billow and living in a buoy. After an adjustment was made to the buoys the elm showed the most promising. 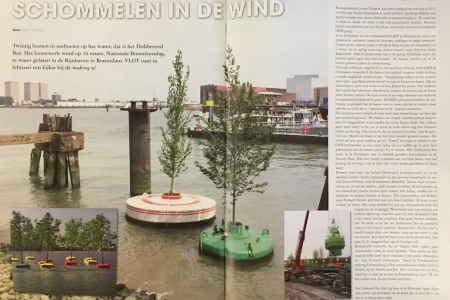 Students of the TU Delft (Technical University Delft) studied the technical aspects as to how the tree could stand upright in the water and endure the Dutch climate.  Together with Mercon Steel Structures a first prototype was constructed in 2014 and after a trial period Barendrecht GKB constructed a second prototype. 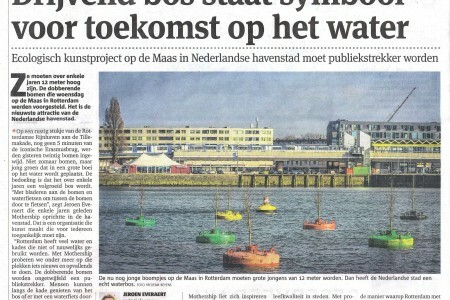 These prototypes have been trial bobbing in the RDM harbor in Rotterdam and were closely monitored so we could find out which prototype came out best, practically as well as esthetically. In the end the second one was chosen. 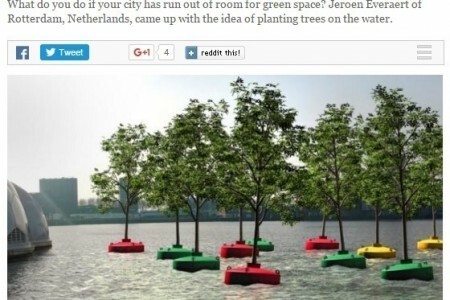 How are the trees watered? A reservoir containing 600 liters of water is constructed at the bottom of each buoy providing the required water for them to survive. 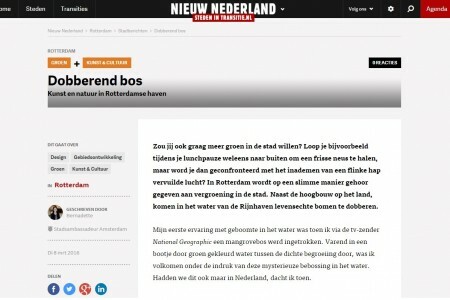 Depending on the weather the Water Boat of Water Company Evides will water the plants four times a year. On top of each reservoir lies a cloth covered with a layer of sand making it possible for the trees to obtain water through capillary function just like in normal soil.  A gauge in a tube which rises and drops by means of a recycled PET bottle indicates the water level. 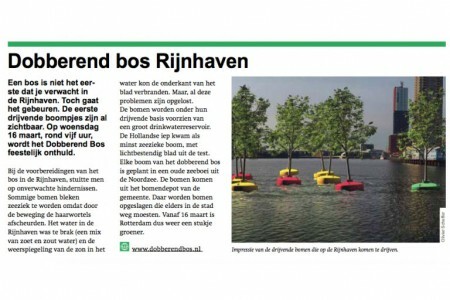 How long will the Forest adorn the Rijnhaven? For a minimum period of five years but can be stretched to a maximum of ten years. 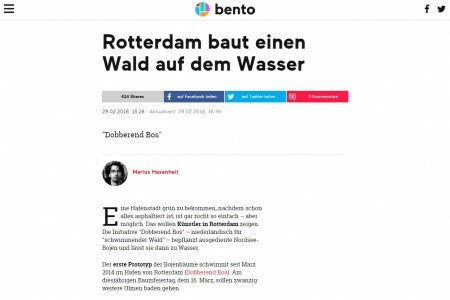 Will mothership produce any more water projects? The Bobbing Forest is part of a large scale shore project. 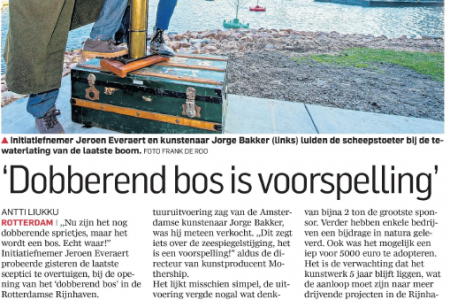 Together with Stichting RiverArt, Mothership will realize several artworks along the shores between Rotterdam and Dordrecht. 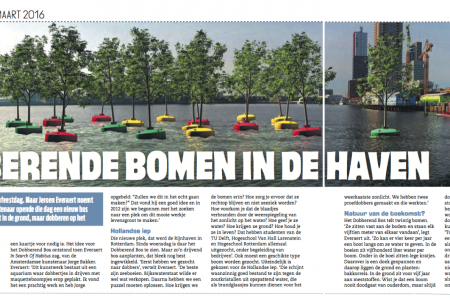 The 20 bobbing trees forming ‘The Bobbing Forest’ will be situated in the Rijnhaven between the Luxor Theatre and Het Drijvend Paviljoen (The Floating Pavilion). 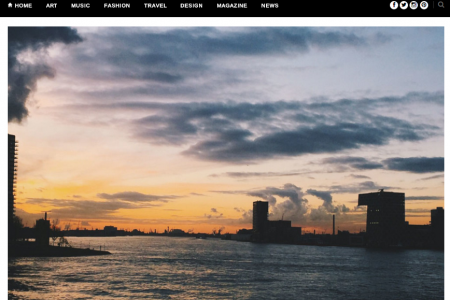 The area around the Rijnhaven has changed drastically over the past 15 years. The harbor itself has moved to the west and housing, employment and recreation have taken its place.  The Municipality of Rotterdam has designated the harbor as test site for innovation and sustainable initiatives that will enhance the liveability and vivacity in the city. 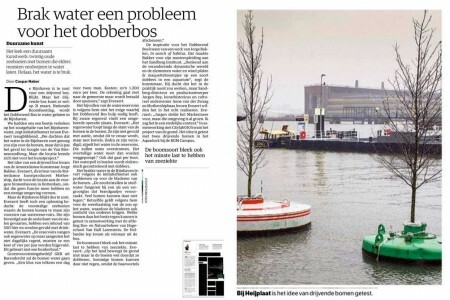 ‘The Bobbing Forest’ does not just add greenery it also makes children and grown-ups aware of climate change, innovation, art, health in inner cities and the importance of greenery. 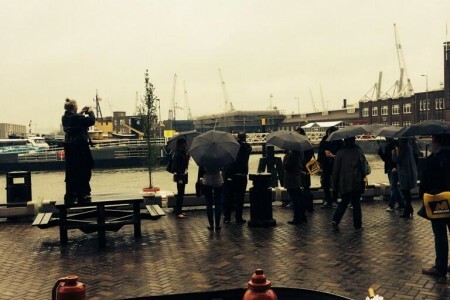 The first prototype stands in the specially for the occasion created waterfront park. 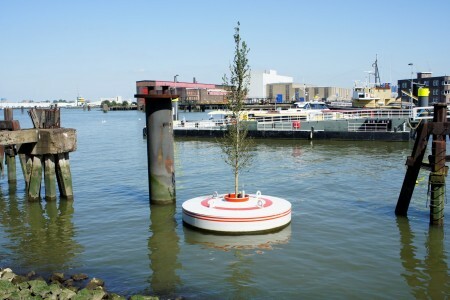 This way visitors of ‘The Bobbing Forest’ will get the chance to look at a ‘tree-buoy’ up close. The art work can be watched at leisure while sitting on one of the benches in the park. 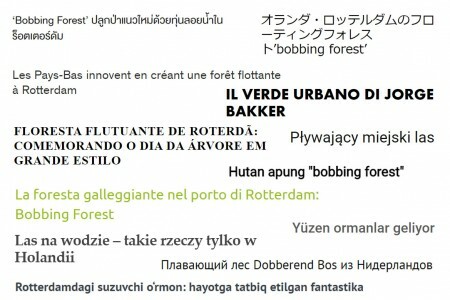 ‘The Bobbing Forest’ has already enjoyed much publicity in the beginning. 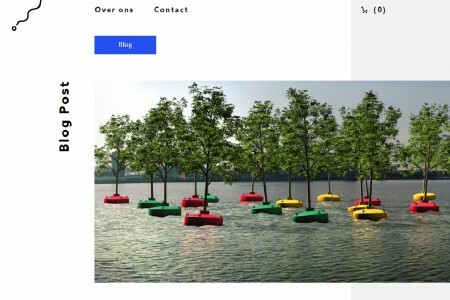 Now that the project has become reality ‘The Bobbing Forest’ is trending on several social media and has become a much talked about topic in national and international media. 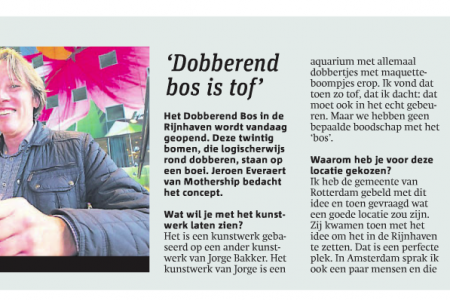 ‘The Bobbing Forest’, like the ‘Market Hall’ did before for Rotterdam, will mobilize much press and make tourists move about. 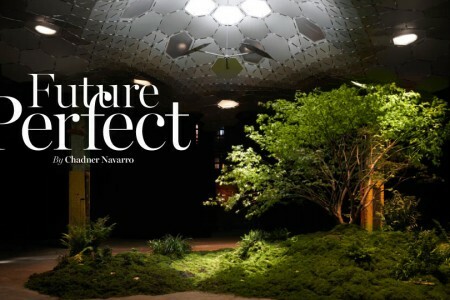 It offers a lot of chances for companies, institutions, foundations en individuals to join the mission of ‘The Bobbing Forest’: Art and greenery to enhance the quality of life and the enjoyment of life inside the city for children and grown-ups.  Partners will be very much involved as far as communication goes: press releases, website releases, photo opportunities with the guest of honor, logo on the buoy standing on the quay and incentives for private relations are all part of this co-operation. 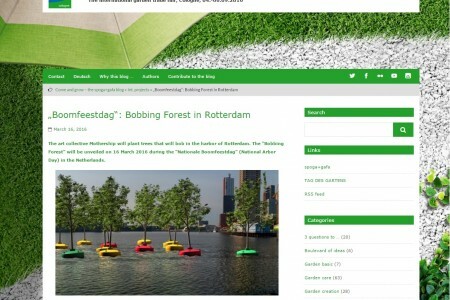 ‘The Bobbing Forest’ is not only a new experience for grown-ups and children, it also is a new site to visit for the many tourists coming to Rotterdam. 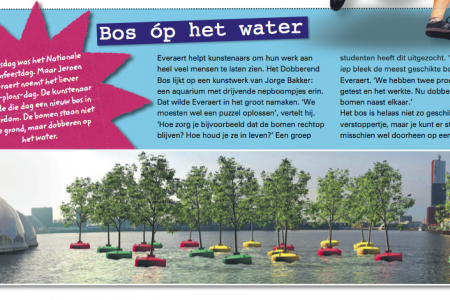 Experiencing art and enjoying greenery can equally be enjoyed watching the first ‘Bobbing Forrest’ in the world. ‘The Forest’ also adds to a better environment. Qua CO2 the trees compensate 1000 km by car during the first year they bob in the Rijnhaven. After ten years this will be almost 5000 km per year. 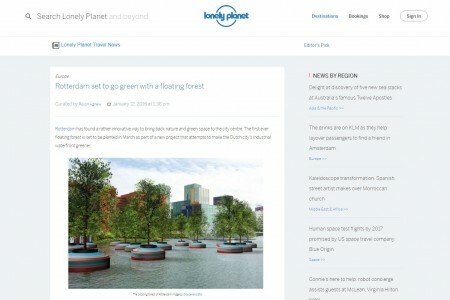 By the time of the launch the trees will have already effectively absorbed 1321 kg CO2. 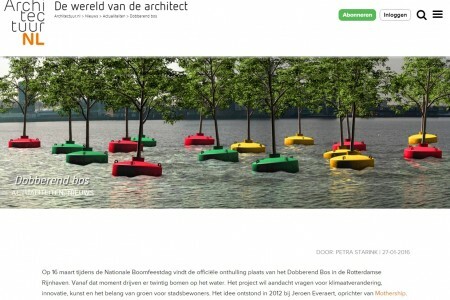 ‘The Bobbing Forest’ is part of a large scale shore project. 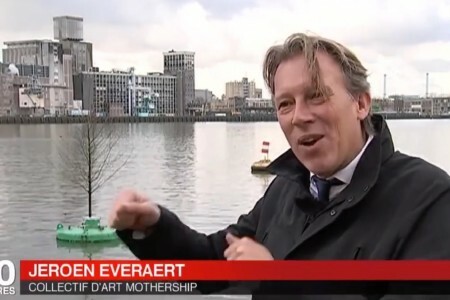 During the next ten years Mothership, together with Stichting RiverArt, shall effectuate several artworks along the shores between Rotterdam and Dordrecht.